Benjamin Gardner was born in Northern Illinois. 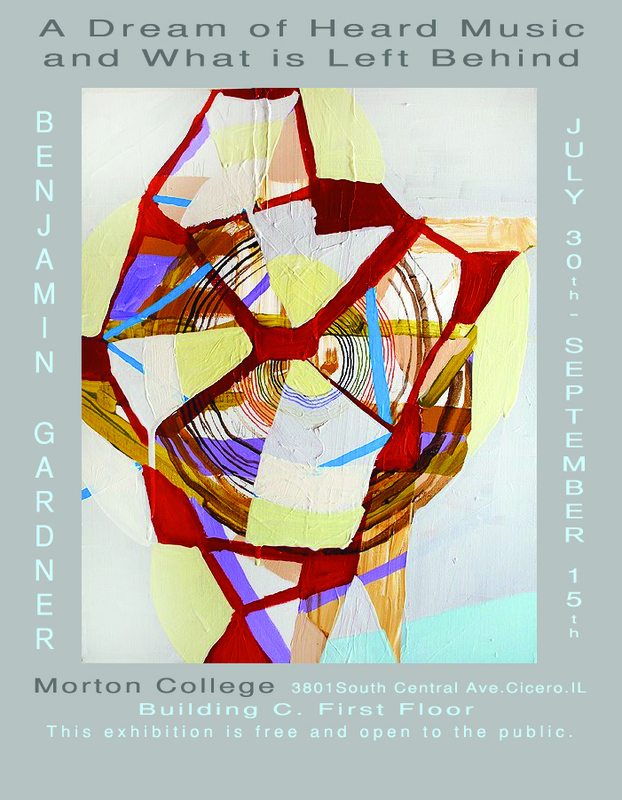 He received his MFA from Illinois State University in 2005 and his BFA from Millikin University in 2001. He has shown extensively in the Midwest and in various locations nationwide. Recent exhibitions include Spotlights at Rebekah Templeton Contemporary Art in Phildadelphia and Best Friends Gallery in Arlington Heights, Illinois. In September, he will have exhibitions at Heavy Brow Gallery in Bloomington, Illinois and Fluxx Gallery in Des Moines, Iowa. He currently teaches drawing at Drake University and resides in Des Moines, Iowa. This entry was posted in Art at Morton College, Chicagoland, Creating and tagged art, Art Installation, artist, arts, Chicago, Chicago suburbs, Cicero, Community College, Contemporary Art, creating, creativity, curated, Diana Gabriel, drawing, Illinois, morton college, painting.